Home » Blog » Angels We Have Heard on High! Gloria, in Excelsis Deo! Click on the picture to download the PDF pattern. Welcome to the fourth day in the 3rd Annual Row Along. 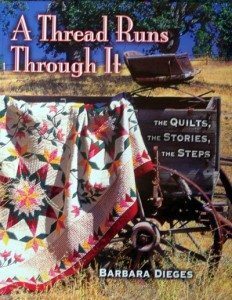 Thank you, Marion Pena, from Seams to be Sew for inviting me to participate in the Row Along and all your hard work finding sponsors for the generous giveaways. This Christmas Carol has always had a special place in my heart, but especially now because of where we live. I can hear the refrain in my head echoing across our valley and mountains, especially when we have a snowy Christmas. This doesn’t happen too often, we are more likely to have a snowy Easter than Christmas! 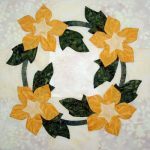 Originally, the pattern started out to be paper-pieced, but once I started working with the large patches of fabric, it wouldn’t work, at least for me. I devised another method that is explained in detail in the pattern. Also, the pattern measures 12″ wide x 40″ tall. I was so intent on using it for a background for our creche which needed to be 40″ tall that I missed the requirement that it was to be 30″ long or tall, but Marian said it was okay. Please leave a comment below so that you are registered for all four prizes. 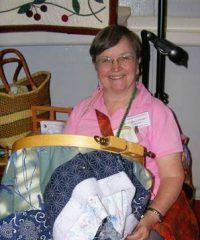 The fabrics for the sky, hills, and the village of Bethlehem are all from Northcott, who so generously donated fabrics to all the designers. The starry sky is from their Magic of Christmas collection and the hills and Bethlehem village fabrics are from their Toscana collection which comes in an incredible selection of colors, but all with that soft muted look of suede, but a silky feel. Beautiful fabrics to sew and handle. 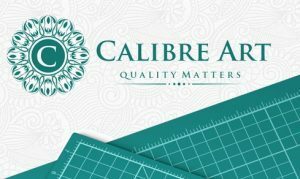 Then there are the very practical sturdy cutting mats from Calibre Arts. When you go to the listed designer’s blogs on their release dates, you can download their “Christmas Carol Row-A-Long” patterns for free, either directly from their website or through Craftsy. The patterns are available free for one week after the bloggers featured day, so don’t procrastinate! On top of that, on each blog, you can enter to win great quilterly items, donated by a number of different companies. Each blog will feature different prizes that are available on that day. Just make sure you comment on each blog to be registered for the prizes. I will be keeping the schedule here on my blog. So check back every Tuesday and Thursday until October 5 to make sure you get all the patterns. I will be giving away five signed copies of my book. 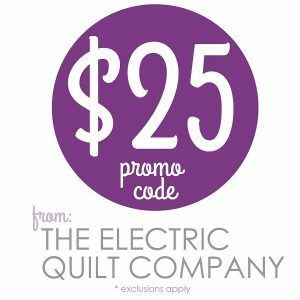 And it keeps getting better with a gift certificate from The Electric Quilt Company, a great company whose software I use all the time to design my quilts. Unfortunately, I can’t make quilts as fast as I design them. Maybe someone could design little quiltmakers to whip out all those quilts? Guidelines for Giveaways. Please take the time to read this. All winners will be announced on the blogs via the Rafflecopter entry form and/or post by the blogger at the site where they won and at Seams To Be Sew. All winners must allow for their first name and first initial of their last name to be announced on this blog. Most of the giveaways are international shipping this year. An invoice will be sent to you via Paypal, and shipping will take place via Paypal, so your Paypal email will be needed to send the invoice. You will receive a tracking number except for overseas shipments. All shipping will either be sent 1st class which averages out at $2.77 to $4.00 up to 13 ounces. Paypal fees are added to that amount to cover that fee. All fabric bundles from Michael Miller, Hoffman, and Moda will be shipped via Priority Mail to protect the fabric itself. Thank you so much Barbara for the wonderful book A Thread Runs Though It. I was a lucky winner and it arrived the other day. What great projects. I can’t wait to get started on something from it. The “little extra” is a sweet little addition too! This book is going to be a treasure for sure! Glad you like it! Hope you will share pictures as you get some of the projects made. Thank you for such a beautiful pattern! Beautiful row! Thanks for sharing. Merry Christmas !!! Beautiful row, thank you. Well, done!! Beautiful row! Thanks for the pattern. Beautiful row! This is one of my favorite Christmas carols. Angels and Christmas are my favorite association. You row is beautiful, hope I can do it justice. Your row is just beautiful!! Your row is very beautiful! Angels We Have Heard On High is one of my very favorites too. It was those sweet angels who helped the wise men find baby Jesus! Your row is a beautiful example of Christmas and its meaning! I absolutely love this block! It is beautiful and so well done–thank you! I love your row Barbara. The Angel is just beautiful. I am happy that you didn’t make it paper pieced—not a big fan. Thank you for the chance to win your giveaways and for sharing everything with us. I love angels and I love the row! Thank you! Your row is very striking! Thanks for the chance to win the EQ certificate. LOVE your block. Thank you for sharing. I love the row, very nice. Great work as always. I love your row! It just brings a sense of peace…Just love this! Beautiful row! Thank you very much! This is beautiful and is perfect to hang above a nativity. I love angels – they’re all around us! How beautiful! You captured the joy! That is a lovely row. It’s a perfect rendition of the song. I have never heard the carol but love the row. Thanks for sharing. Such a beautiful row, thank you so much. I do love all your work. I love this row! One of my favorite hymns. Your row is fabulous – I love your Angel and that carol. Thank you. I love this row too! Very nice job! Wonderful Row! Thank you for sharing your creativity with us. 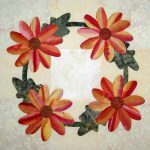 This is such a beautiful row that would look great in a quilt or as a wall hanging! Thanks for the pattern! Wonderful row. Like that you have it set vertical as well. Thanks for sharing! I love your row, it is beautiful! It would make a lovely wall hanging for the Christmas season. Thank you! Thank you for sharing your block! I love it! Very cool row! I like it alot! Awesome design! Thank you for sharing! Have a great day! Your row is gorgeous! There are several people on my Christmas gift list that would love this. Thanks for sharing. Oh my goodness – your Angel is beautiful!! Thank you so much for the pattern – I’ve already downloaded it!!! WOW!!! I love this Christmas carol as well. Your row is a beautiful interpretation of the song. I love, love this! I love all kinds of angels – period! A well chosen carol and I like your rendition of it in fabric. I would love to win this book! Or the GF either! Thanks! Love your row – a perfect interpretation of the carol! That is gorgeous. I’m thinking it will make a wonderful banner for the door. 🙂 I love that Christmas Carol too. I just love Christmas! Thank you for the giveaway! I really like your row. Thank you so much! Barbara, this is gorgeous. A holiday must have! Thank you so much for creating and sharing this beautiful row. I am thankful that there are such generous and talented individuals participating in this row along, and grateful that I can in some way be a small part of the sharing. What a lovely row, but then, I’m used to your lovely work as I’ve been following your Appliqué alphabet. Thanks so much. Thank you once again for giving us this free pattern. I can’t wait to get started on them..
What a beautiful row! Thank you! I love angels and your pattern is beautiful. Thank you so much for the work I know you put into it and sharing it with us. It is appreciated. This row will make an absolutely adorable wall hanging!!! beautiful row. I have to download the pattern, because I’m curious at what other method you used besides paper piecing. Such a beautiful depiction of the carol. Definitely a possibility as a gift for a dear friend. Thanks for the inspiration. What a great row! 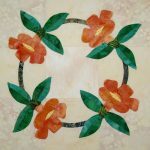 I have followed you for years and love your appliqué! I was really excited when I saw your name in the row participants. Thanks for all the patterns over the years! I love your row! Thanks! I love anything with an Angel on it. Wonderful job!! Great row! Am a fan of all of your patterns! Lovely as always, Barb. I am collecting your floral alphabet, too. I plan to some of the blocks as monograms in various projects. Yep, this is also one of my favorites also. I hate playing favorites, but I do love love love this row Barbara. I’m so sew happy you joined us for the Row Along this years. Outstanding design! Your angel is lovely! One of my favorites! Thank you so much for making such a beautiful row. Thanks to all for the chances to win something, but the row itself was a win!